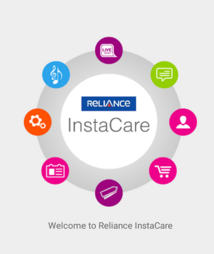 Hello Dealsnloot Readers, we are back with new Reliance free Internet trick for all reliance users, in this offer don’t need any vpn ucp any proxy trick, this tricks is official offer for all reliance users, this offer giving by Insatacare app in this offer you will get 500 MB 2G/3G Data absolutely free.Reliance InstaCare App – Download and Get 500MB 2G/3G Free Data for Sign up for First time and you will receive your Free data of 500MB 2G/3G within 48 working hours. So why are you are waiting for ?So Grab This Loot Offer and Get Reliance 500 MB Free Internet Loot. Then Download or Install Reliance InstaCare App on your phone. Then Open The Reliance InstaCare app & Complete formality like One time Signup process. After Successfully Registration it mean you are done. Hurry !!! You will receive your 500 MB 2G/3G Data in 24 - 48 Hours. Last word for installation don’t remove Reliance InstaCare App from your mobile until you receive your free data. 1) Offer is valid only for new user. 2) Offer is valid only for First time installations. 3) Repeated installation are not counted for free data. 5) offer is valid only for Reliance users those who are not used reliance instacare app before. To get deals on your Whatsapp instantly : Send "JOIN YOUR NAME" to +917758880994 Save Our No. In Your Contact List.